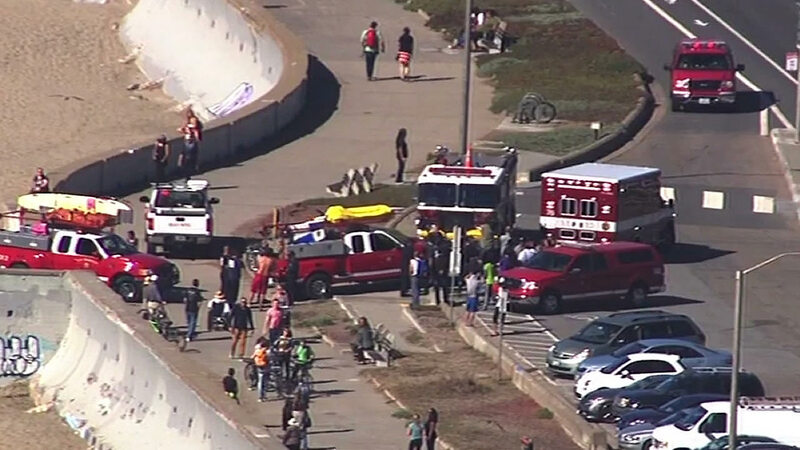 SAN FRANCISCO (KGO) -- At Ocean Beach, four teenagers needed to be rescued after getting caught in a riptide. The National Park Service told ABC7 News members of the beach patrol warned the teens to stay out of the water earlier in the day. San Francisco Fire paramedics treated and released two teenage boys at the scene. Two teenage girls went to the hospital for more treatment. All four teens are expected to recover.